While Doncaster as a whole may be just off the pace when it comes to the modern ‘value added’ measure of success in its primary schools, Ivanhoe Primary School in Conisbrough is right up there with the best. It has not got the highest grades. But it does take the pupils that arrive there, and ensure that they make the highest level progress from their starting point in the school. The progress scores show how much progress pupils made in reading, writing and maths between the end of key stage 1 and the end of key stage 2, compared to pupils across England who got similar results at the end of key stage 1. In terms of maths, Ivanhoe is 18th out of 20,833 schools in the country, with a progress rating of 8.6. The national average is zero. In reading it’s 79th (rating 6.7), and in writing it’s 117th (rating 5.5). 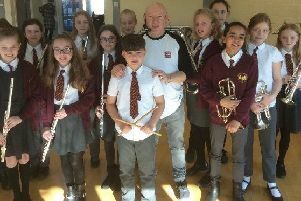 It is run by its own single academy trust, rather than a multi-academy trust – which principal Joe Brian believes ensures all the money that comes to the school does directly to its pupils’ specific needs. Mr Brian has been at the school for 13 years. When he started it was rated as satisfactory. Now it is classed as good. At the time it had classes of 14 pupils and only 168 on the roll. Now the classes are full and there are 370 pupils. Many of those youngsters come from outside the catchment area. Mr Brian has complete confidence in the school, and his own child attends. Many other of the teachers send their children there. He teaches a class every day because he thinks its important to to become detached from the classroom. He said: “Most schools are run top down by the headteacher. I think the reason we’re successful is we work bottom up, with teachers able to try things out. Their ideas are often then adopted by the school. “Most of our best work comes from teachers seeing we need to do something. Things evolve and change. “For instance, we have changed how we report to parents. and how we assess. We use a system which involves giving all the performance data to the parents at parents evening, not just a teacher’s description. It means we can unpick every aspect of how they are performing. “We have longer parents evenings – two evenings and a day. It shows exactly where the children are. It takes more time but it is a powerful tool, and it means the parents know how they can help. “We also run parent workshops, where parents come and watch a lesson, and are then given a presentation by the teacher, showing them how the children are being taught, so they can help at home. There is homework right from reception. Classes have a learner of the week award, with the winners and their parents invited in for a celebration with the staff. It is awarded for respect, resilience, independence, pride, curiosity and determination. 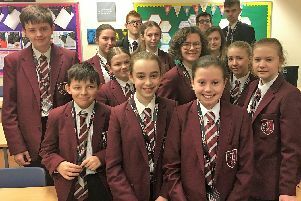 Special education needs co-ordinator and year six teacher, Vicky Sedgwick, said the school employed a full time safeguarding officer. That job included bringing children in to school if there were issues for the parents such as another of their children being unwell. Mr Brian has offered to work with other schools in the borough to try to help them replicate the school’s value added success. But the local authority has yet to take up his offer. His school is a member of the Rotherham based Learners First schools partnership, rather than the Doncaster equivalent, Partners in Learning. Officials at Ivanhoe feel Learners First is less prescriptive in its approach. “We would like to work with other schools,” said Mr Brian. “We’ve said to the local authority we’d like to support other schools. He believes the education authorities are more interested in working with larger, multi-academy education trusts. The school’s pupils start the transition for the next academic year in the second half of the final term. For instance, they spend several weeks at the end of year five with their next year six teacher, so they are ready at the start of the next year. Year six pupils to work towards moving to secondary school, but at Ivanhoe, as well as residential trips. They have a day of fun activities in school with the teachers on the Sunday before their year six SATS exams start, to help make it a less stressful experience. The next plan at the school is to draw a list of 21 experiences it wants its pupils to have had before they leave in year six, with each ticked off by the time the leave. It is proposed that this will include such experiences as visiting a lighthouse, a cathedral, London, the Peak District, and possible seeing a Royal Shakespeare Company performance. Taking years six groups to Stratford to see Shakespeare is something the school has been doing for several years. “We’re aspirational for the pupils,” Mr Brian said. “We are trying to organise the list of 21 things. We want them to know these things exist, and to have seen them.